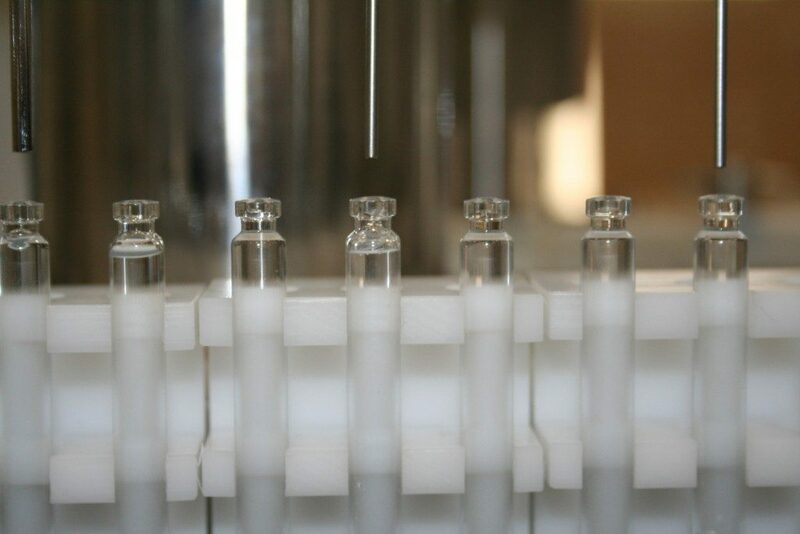 Aseptic Cartridge processing automatically fills and seals containers. 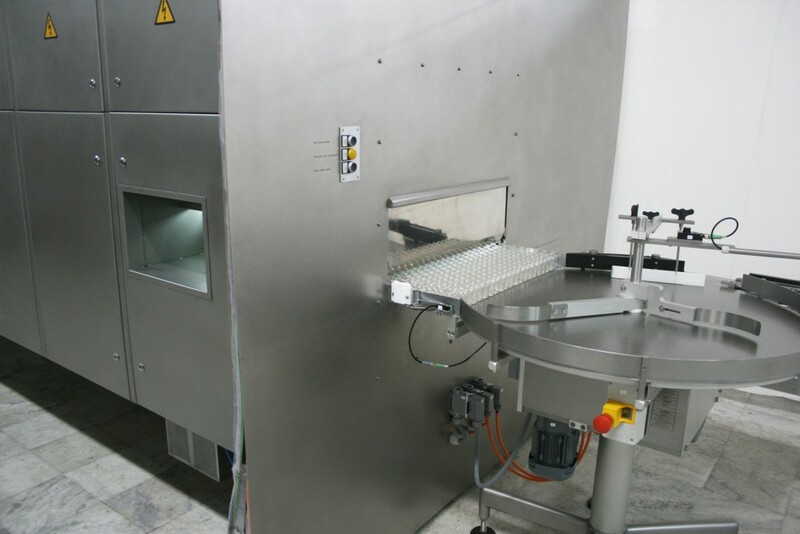 Cleaning Machines that wash Cartridges Internally and Externally. 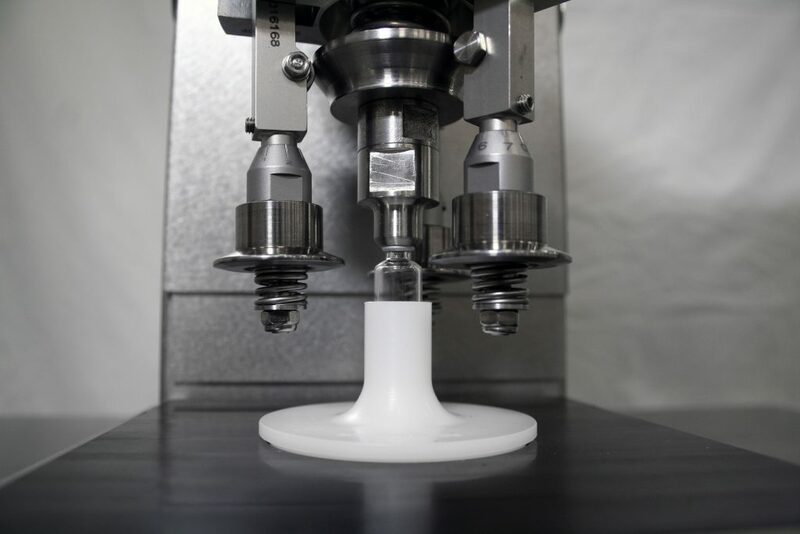 Filling equipment for Cartridges are Rotary Piston Pumps and/ or Peristaltic Pumps. 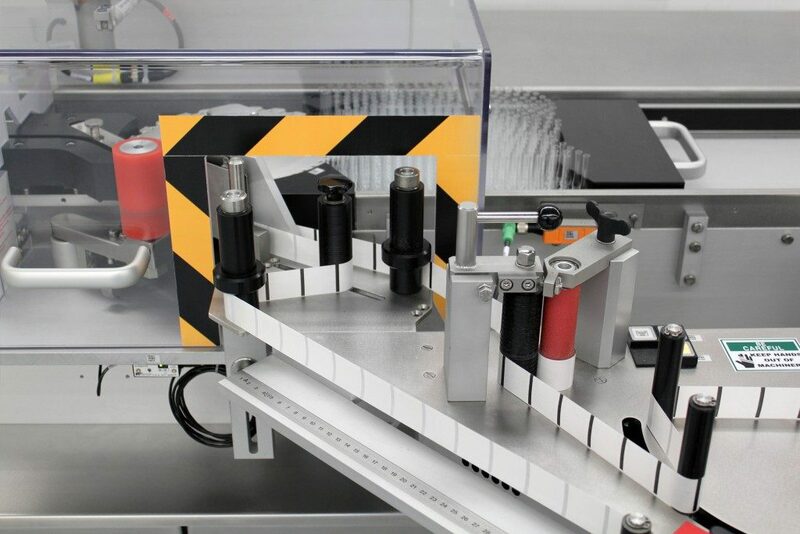 Semi-Automated Stoppering and Crimping Machines for Cartridges, stand alone machine or integrated into a full line. 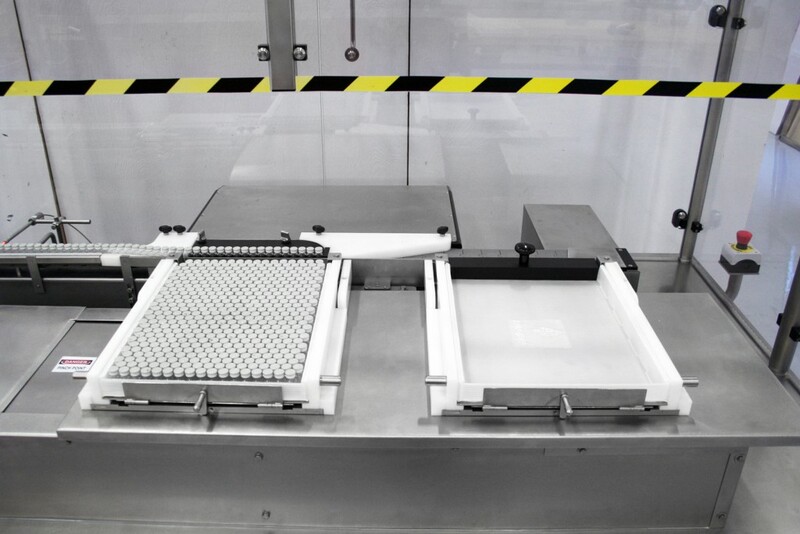 Automatically load finished Cartridges into Trays. When one tray is full, the other moves over. Remove pyrogens with the Depyrogenation Tunnel that heats up to 600°F. 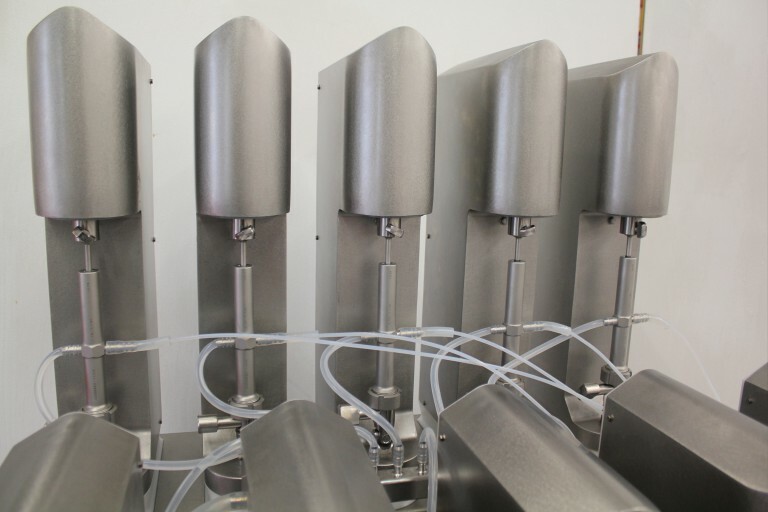 Automatic aseptic Filling, Stoppering and Crimp Capping of Cartridges with speeds up to 36,000 per hour. 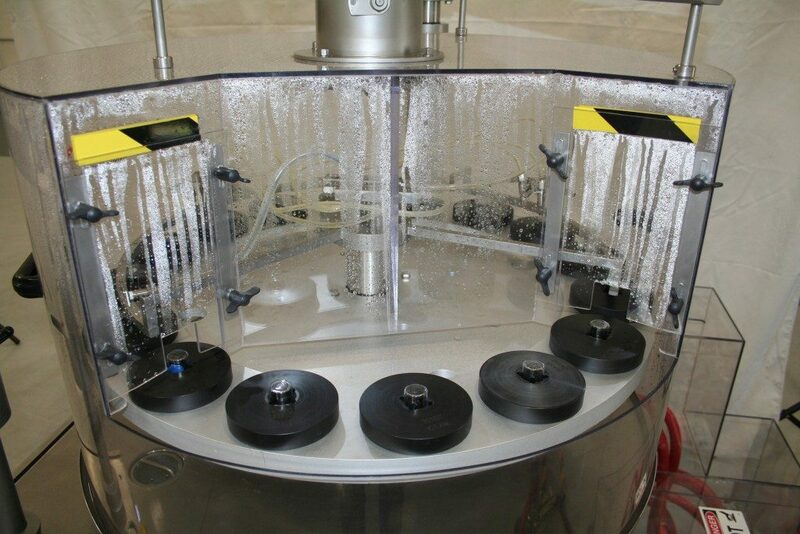 Labeling, coding and verification machines for Cartridge Processing.